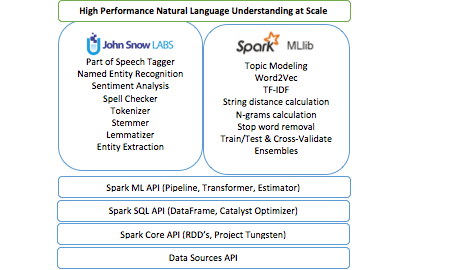 This is a community blog and effort from the engineering team at John Snow Labs, explaining their contribution to an open-source Apache Spark Natural Language Processing (NLP) library. The blog expounds on three top-level technical requirements and considerations for this library. Our virtual team has been building commercial software that heavily depends on natural language understanding for several years now. 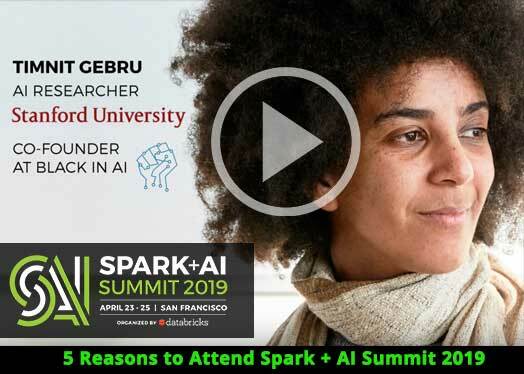 As such, we have hands-on experience with spaCy, CoreNLP, OpenNLP, Mallet, GATE, Weka, UIMA, nltk, gensim, Negex, word2vec, GloVe, and a few others. We are big fans, and the many places where we’ve imitated these libraries are intended as the sincere form of flattery that they are. But we’ve also banged our heads too many times against their limitations – when we’ve had to deliver scalable, high-performance, high-accuracy software for real production use. This post describes the advantage of the John Snow Labs NLP library and the use cases for which you should consider it for your own projects. In this code, the document assembler, tokenizer, and stemmer come from the Spark NLP library – the com.jsl.nlp. * package. 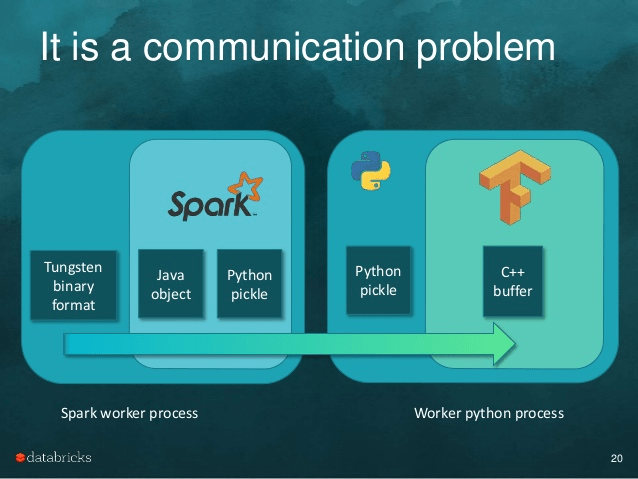 The TF hasher, IDF and labelDeIndex all come from MLlib’sorg.apache.spark.ml.feature. * package. The dtree stage is a spark.ml.classification.DecisionTreeClassifier. All these stages run within one pipeline that is configurable, serializable and testable in the exact same way. 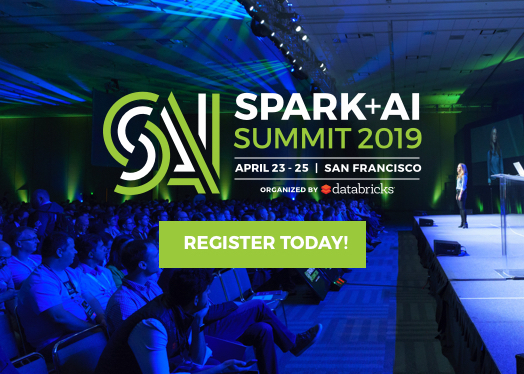 They also run on a data frame without any copying of data (unlike spark-corenlp), enjoying Spark’s signature in-memory optimizations, parallelism and distributed scale out. If you need NLP for your current project, head to the John Snow Labs NLP for Apache Spark homepage or quickstart guide and give it a try. Prebuilt maven central (Scala) and pip install (Python) versions are available. Send us questions or feedback to nlp@johnsnowlabs.com or via Twitter, LinkedIn or GitHub. Alex Thomas from Indeed and David Talby from Pacific AI for the initial design and code of this library. Eduardo Munoz, Navneet Behl and Anju Aggarwal from John Snow Labs for expanding the production grade codebase and functionality, and for managing the project. Ben Lorica from O’Reilly, for driving me to move this from idea to reality.